While these have been busy weeks, it has to be said, it has been a real joy to be spending time in the garden when circumstances allow. 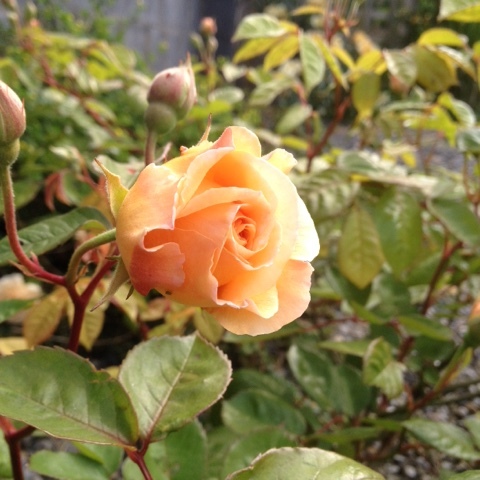 One of the main sources of colour though has been the roses coming in to their main flowering time once again. Rosa 'Buff Beauty' is looking really great as are many of the other varieties, and of course their scent fills the garden. Dead heading will become a regular feature and I'll be giving some liquid feeds too, which might encourage some further flushes of flowers later in the summer. 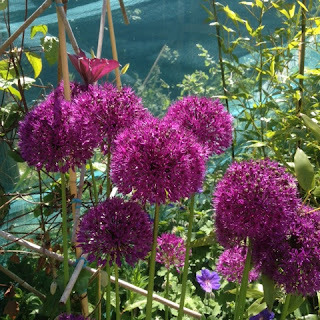 Speaking of dead heading, the Alliums have just finished flowering and I've been busy ensuring the energy of the plan goes into the bulbs for next years flowering by removing the remains of the flowers. 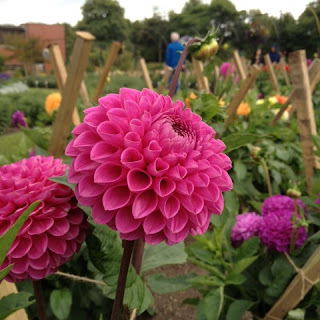 Similarly too with the Delphiniums and Lupins, dead heading to encourage more flowering (this entails removing old faded flowers) and again giving these a liquid feed or two to encourage more flowering. 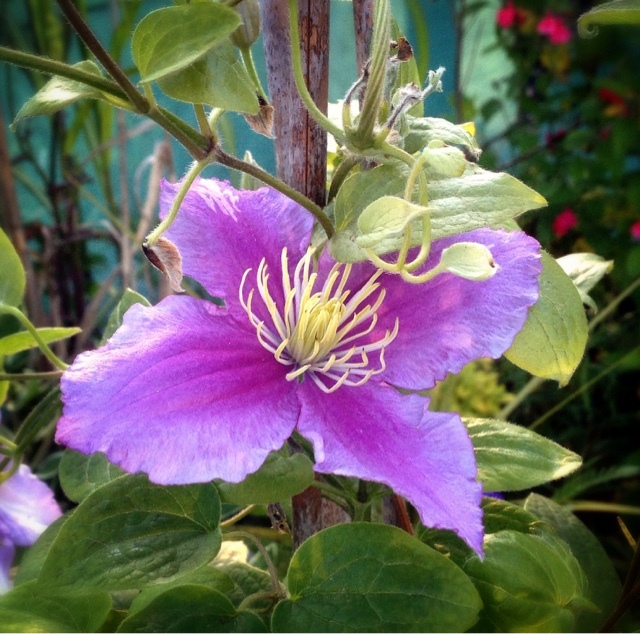 Clematis 'Pilu' has come back into flower, which is also pleasing. This is a Clematis that I keep in a container, and which looked very poorly last year. So in late winter, I removed it from it's pot, teased and washed off the old compost and replanted it into lovely fresh soil/ compost mix. I've been keeping a close eye in it since and the first of the flowers opened recently ...hurrah. 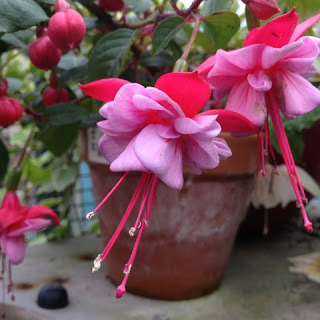 And there's always the Fuchsias. 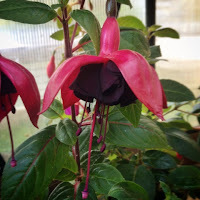 Regular readers of this blog will know that Fuchsia are a regular feature and this year will be no different. 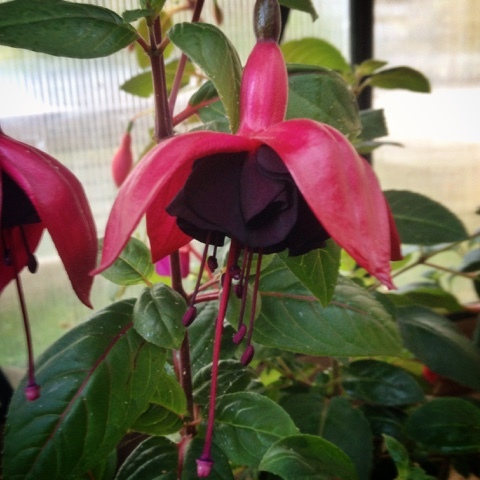 Already Fuchsia 'Blackie', a new variety to the garden, has started to flower and is a real eye-catcher with red outer skirt (sepal) and dark velvet under-skirt (petals). In contrast, Fuchsia 'Mandrin' has smaller glowing flowers with white sepals and orange petals. 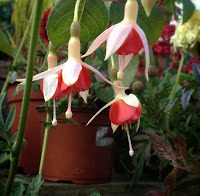 I expect I'll be doing a blog soon, just on Fuchsia, when they all are in flower. 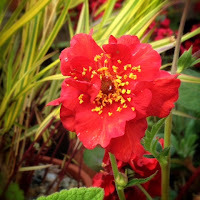 On the production garden front, well things here are a touch neglected as I just haven't had the time needed. There is plenty to do, and with some time available over coming days, perhaps I can play a bit of catch up. I have almost completed potting up my pots and containers with summer annuals, and they're looking very well, even if I do say so myself! 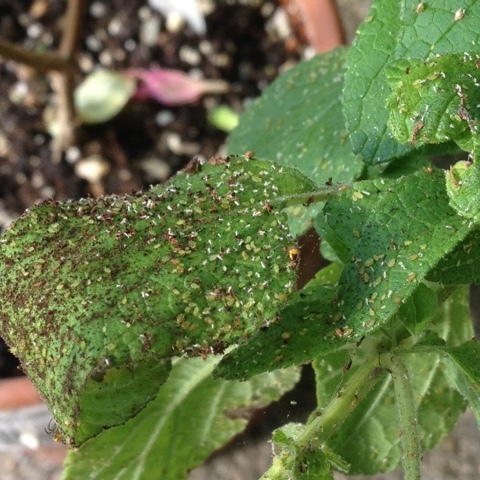 I noticed there has been an explosion of aphids and greenfly in the garden. 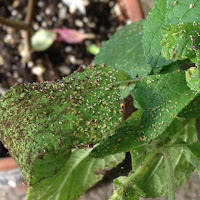 This is no surprise given the amount of soft lush foliage on offer, which they quickly colonise. Because May was so cool, I think their natural predators, such as ladybirds (and their larvae), hover-flies and similar, are slow to emerge. I'm slow to use sprays, although will do if needed. 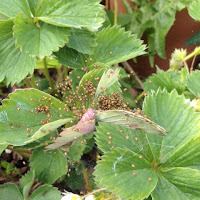 I was happy to see some spiders hatch out the other days, and these were promptly removed into the greenhouse to allow them to set to work. 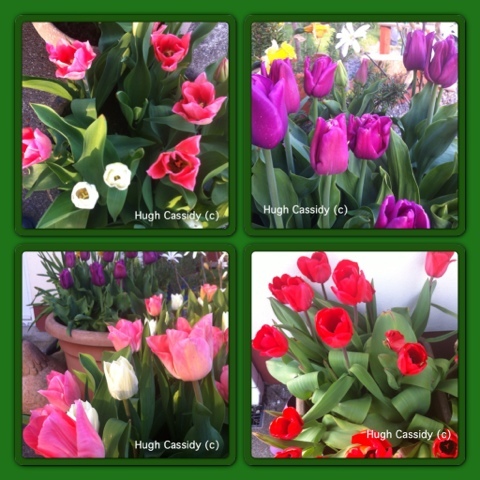 A cousin of mine was recently in contact to state how happy she was that her winter sown bulbs had finally flowered, and how, in this day and age, of instant internet and app gratification, it was quite tortuous to have to wait. 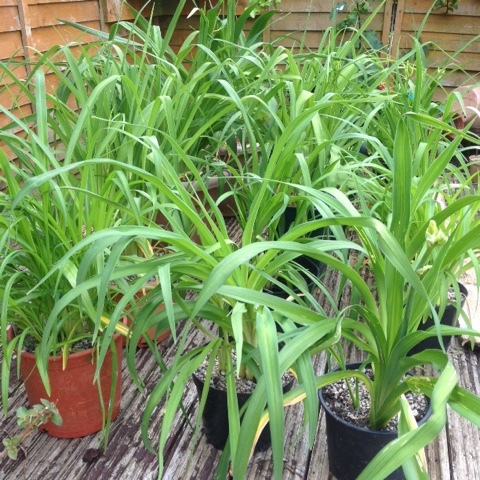 Well, finally it is with great expectations that I'm keeping an eye on the Hemerocallis. Since the last of the flowers went last Autumn, I have been patiently waiting to see them reappear this year. 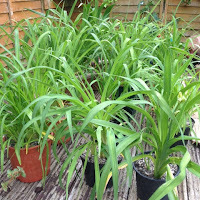 Now, all but one of the ten varieties have large swollen flower buds which I expect will flower over the coming week. Of course, as soon as they do, you'll be the first to know.